If you have followed Street Hunters for the past few years, you know that we are serious admirers of Khalik Allah’s work. 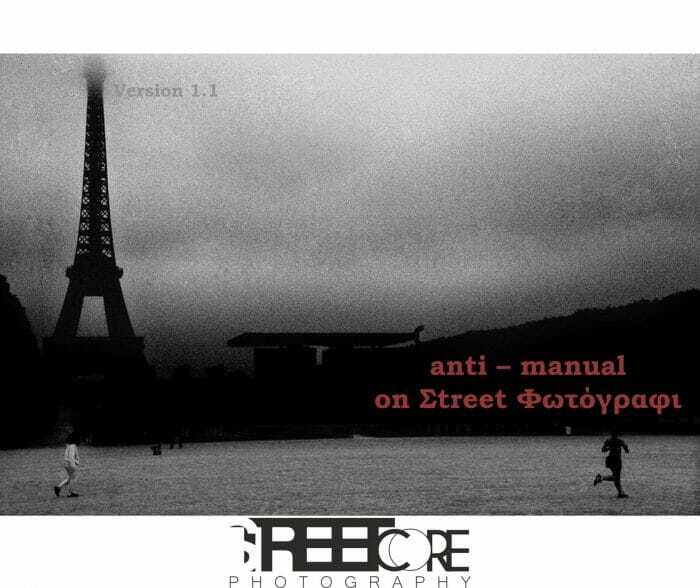 Spyros first shared his work in one of our Street Photos Of The Week back in March of 2014. 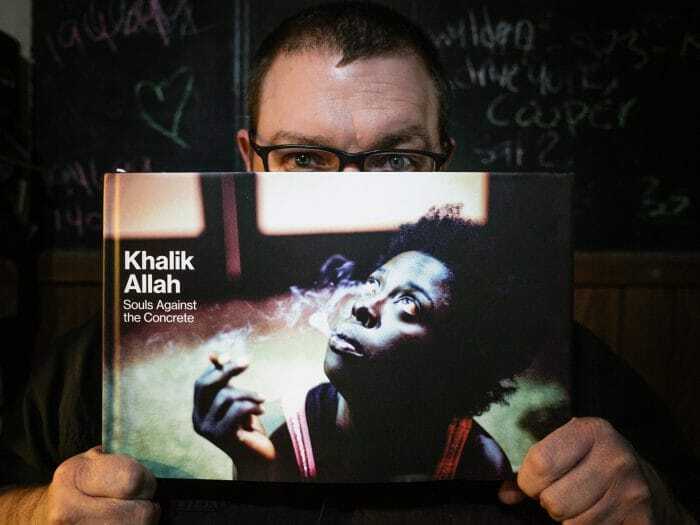 In July of that year we were fortunate enough to have Khalik participate in one of our Hangouts, which was undoubtedly our most powerful episode in the series. That August I wrote a piece on his personal impact in The Under the Influence Series, and that September we shared the announcement of his incredibly moving film, Field Niggas. There’s a reason Khalik has made numerous appearances on Street Hunters, and that’s because his work is some of the most riveting we’ve seen. However, we’ve only seen his work on the internet, not in the physical form of a book or zine. Selfishly, I yearned for just that. If anyone’s body of photographs begged for a printed collection, Allah’s was it. 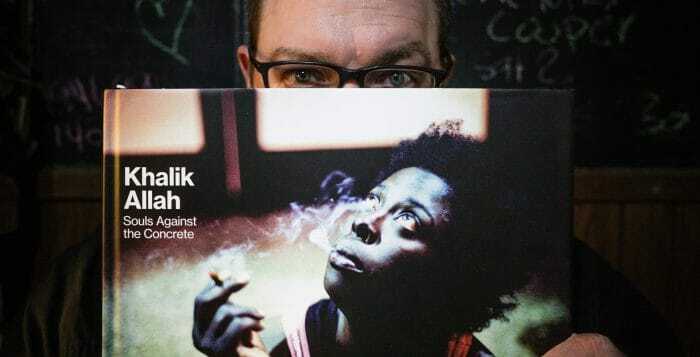 In fact, Khalik Allah’s style and strength as a photographer demanded it. Street Photography can be more than clever. 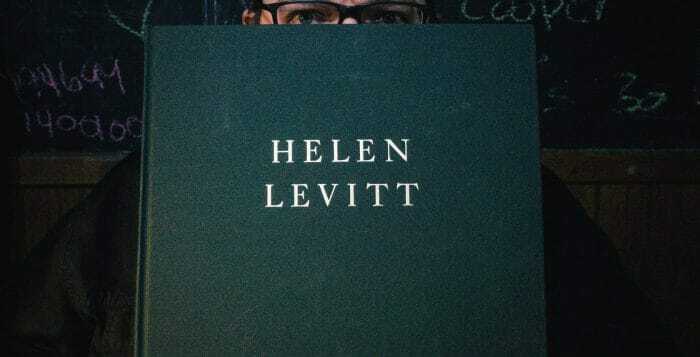 More than witty and whimsical. More than the perfectly-timed candid. More than layers. More than light versus shadow. More than shock-and-awe flash. More than the beautifully composed street portrait. 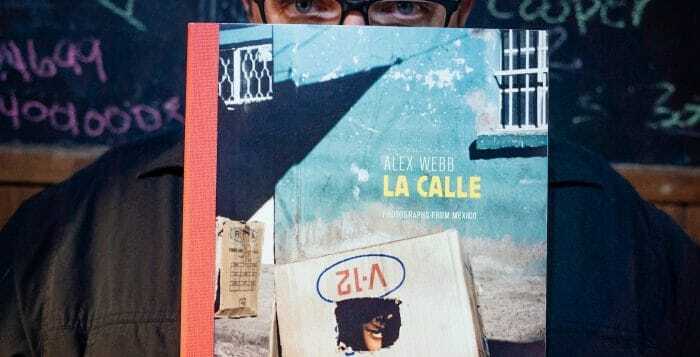 Yes, all of these parts of the big, beautiful mess that is street photography are equally deserving of a home within the genre and it is the eye-candy that our visual palates crave and styles we desire to capture. However, street photography can be important, and it can be powerful. This can be found where street and documentary photography collide, and the results can be ground-shaking. 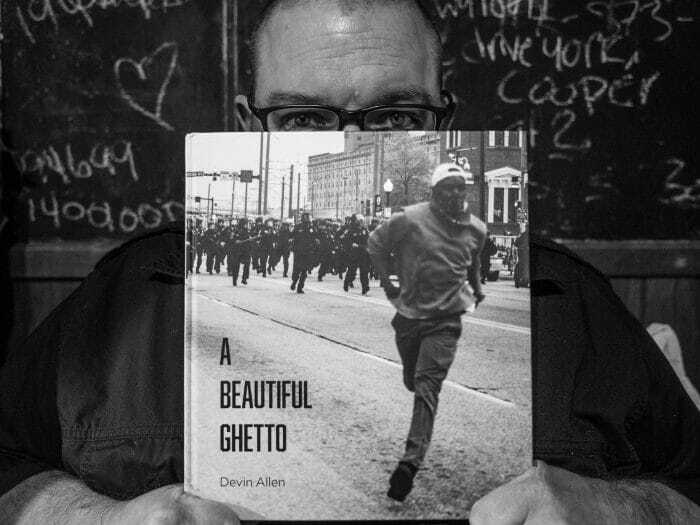 Devin Allen’s A Beautiful Ghetto is a document of such a cultural/social/political earthquake whose epicenter was Baltimore, Maryland, a far-reaching event whose tremors can still be felt to this day. 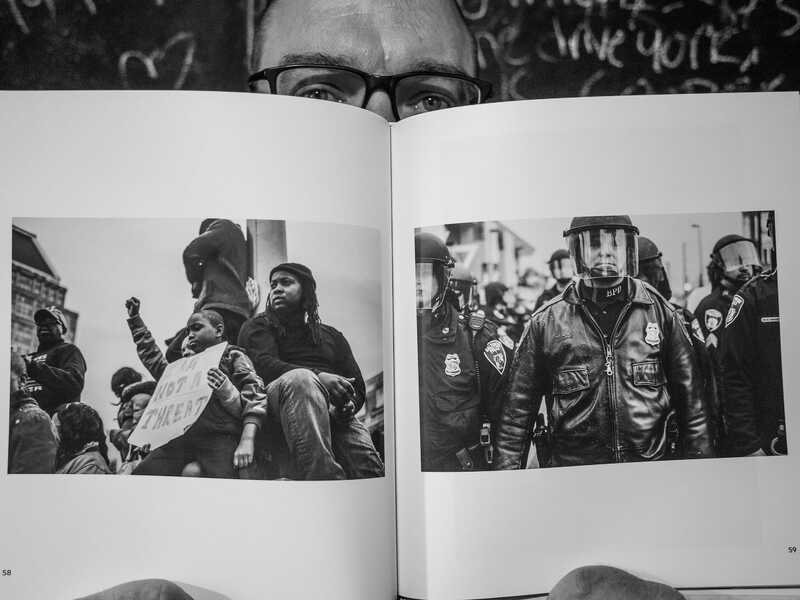 In April 2015, the world’s attention was turned to Baltimore. Television and the internet were feeding eyes across the globe with images of a city that was literally on fire with unrest. On the 12th day of the month, Freddie Gray, a 25-year-old African-American man was arrested by the city’s police department for carrying what the police said was a switchblade knife. On the police van ride following the arrest, in which the officers failed to properly secure him, Gray suffered injuries to his neck and spinal cord and fell into a coma. On April 19th, Freddie Gray died as a result of those injuries. 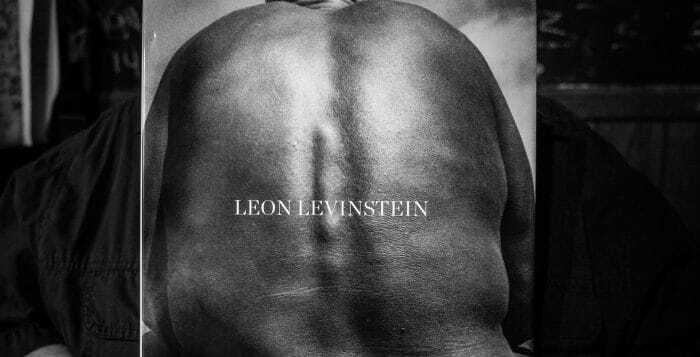 There’s both a feeling of sadness and the joy of discovery when first exposed to a photographer’s work with a posthumous book release. Much more so when the photographer is one who worked in relative obscurity. 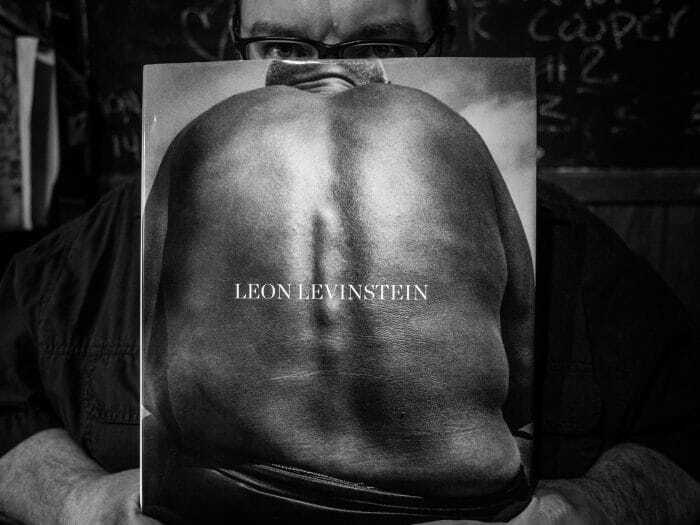 I’ve experienced this before and written about it in my reviews of collections from Vivian Maier and Leon Levinstein. The feeling of sadness is genuine, though. These previously unheralded photographers practiced their craft not for glory, but because they were compelled to. It really is a thought that is hard to comprehend in these times, where over-sharing is the norm. Granted, social media was not a factor in decades past, and the notion of making photographs for one’s own self, without self-promotion, may seem absurd to many today. But, as crazy as it may seem, some do and their reasons are not to be questioned. If anything, we just need to be thankful that a curator/editor realized that the photographs needed to be published for us to enjoy. 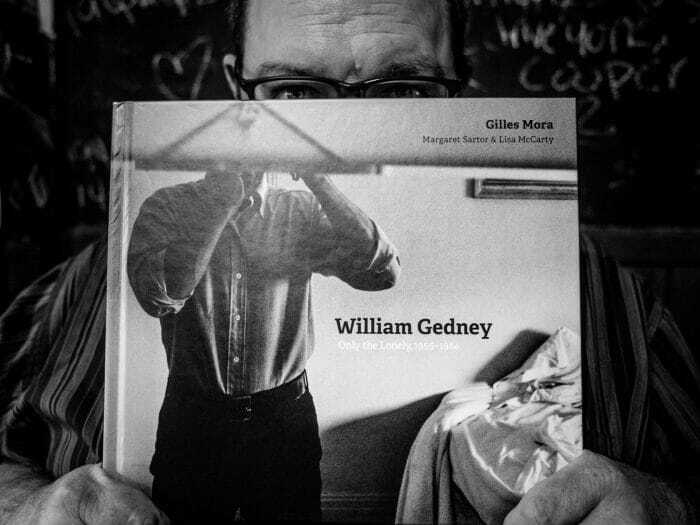 William Gedney (1932-1989), I have to admit, was unknown to me before I received a copy of William Gedney: Only the Lonely, 1955–1984 (University Of Texas Press, 2017). 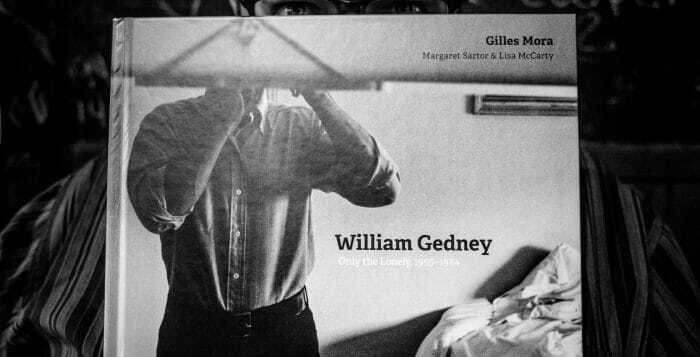 That being said, Only The Lonely provides a grand introduction to a photographer who surely deserves the recognition and appreciation that escaped him while he lived. Shooting at festivals, fairs, carnivals and the like can be a mixed bag for a street photographer. The obvious benefit of shooting at these events is the bang-for-your-buck factor. What I mean by this is there’s a large amount of people in a relatively small space. It’s a target-rich environment that offers big value for the street shooter. Providing great opportunities to sharpen skills, these events are a godsend to the photographer who doesn’t live in an active urban setting or is pressed for free time to shoot. The only drawback I’ve seen with collections of festival shots is the feeling of sameness, that I’m left with. Often, I’ve seen what amounts to be hodgepodge clusters of “character” shots. Now some are excellent quality, depicting some truly unique and colorful characters. However, quite a few groups of these photos fail to capture the atmosphere, flavor or spirit of these events. There’s a lack of “moments”. 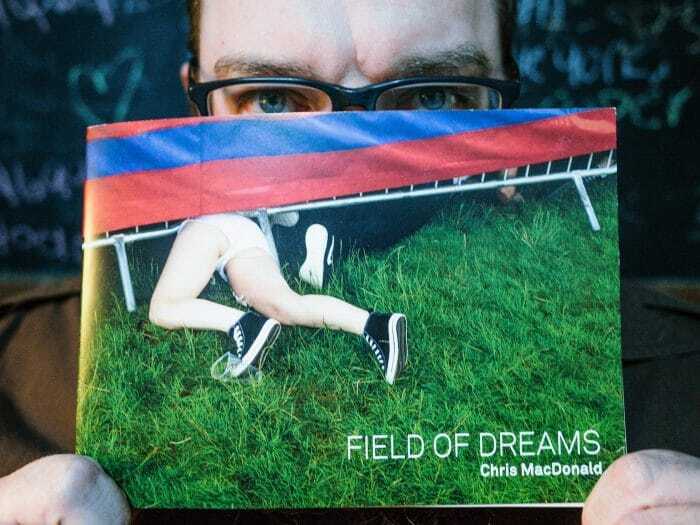 That being said, receiving Chris J MacDonald’s ‘Field Of Dreams’ zine in the post was a delightful surprise and a visual treat. Self-published this past fall, ‘Field Of Dreams’ is a brief, but gloriously colorful and vivid essay on British summer music festival culture. In just 23 images, MacDonald taps into the essence of these festivals with an entertaining mix of characters and moments. It’s very hard to imagine a street photographer today working in relative anonymity. Social media sites have become our galleries, providing easy accessibility and near-constant availability. There is natural compulsion to share, and not just for the sake of recognition. Sharing is used to network and to garner critique and feedback. Few street photographers make a living solely practicing their craft, but there are rewards to reap through sharing. One can make a name for themselves, which can be satisfying enough. 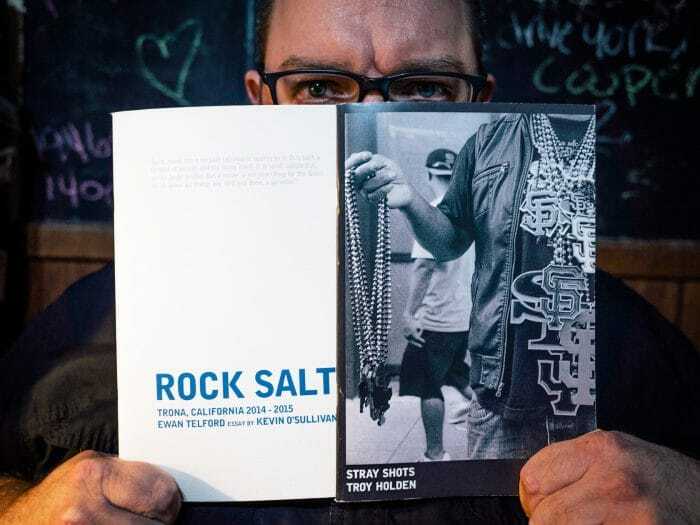 Street photographers can also win money and gear through online entry into contests held by websites, physical galleries and other organizations. But at the end of the day, we want our work to be seen. We may say how much likes and little hearts and stars don’t matter, but we still want others to view our images. Getting eyes on our work is just a post and a few hashtags away. I can’t remember where I first read this mantra for photographers, but I’m sure it was in something that the venerable Eric Kim wrote. No matter, these words stick. 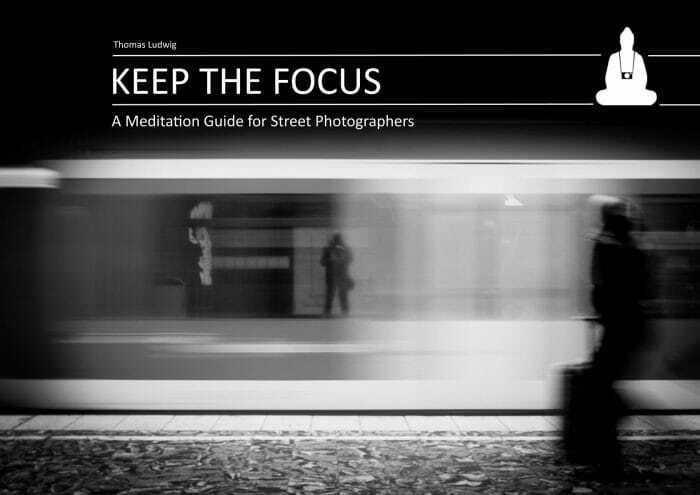 The mantra can be applied to any genre of photography, but if you mull it over, it especially makes sense for street photographers. I’ve seen great street photographs made with anything from disposable cameras to smartphones to top of the line Leicas and beyond. So the truth is, a great photograph can be made with any camera. But our gear lust is a natural, unavoidable condition. Most folks are just wired that way. Anyone, from artisan to tradesman, would want to try the more expensive tool. To drive a Ferrari on the track. If anything… just to see what it would be like. So, it is suggested that we buy books and not gear, because buying the best gear will not make us better photographers. Just like a better hammer will not make you a truly better carpenter. 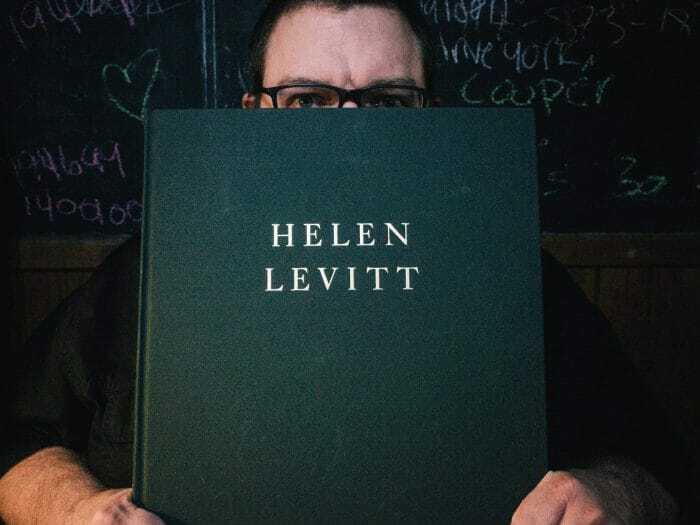 So why funnel your cash into photo books? Because the photographer’s soul is constantly hungry for inspiration and it’s constantly wanting to give appreciation. 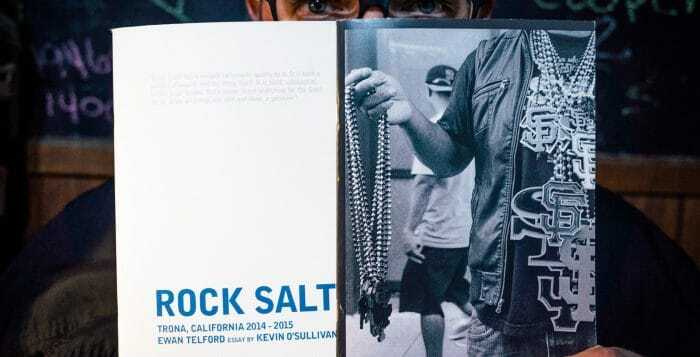 A good photobook will bring endless returns. A physical keepsake that we can come back to anytime. A reminder that we can always be a better photographer. And sometimes that reminder is subversive, hidden in the guise of our appreciation of an image. While we gush internally over a particularly great photograph, somewhere deep, deep down we end up longing to make a photograph as great as the one we’re viewing. There’s real value in that lust, if we channel it properly. And let’s be honest, looking at a printed image blows away looking at an image on a monitor or a phone. 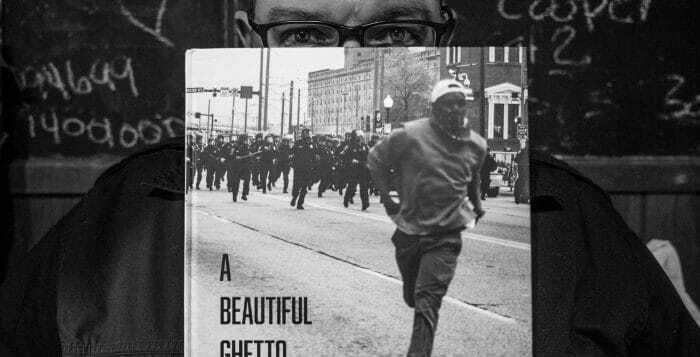 But let’s also be honest about this… quality photo books aren’t cheap. It’s no stretch to say $30 USD and beyond is the norm. 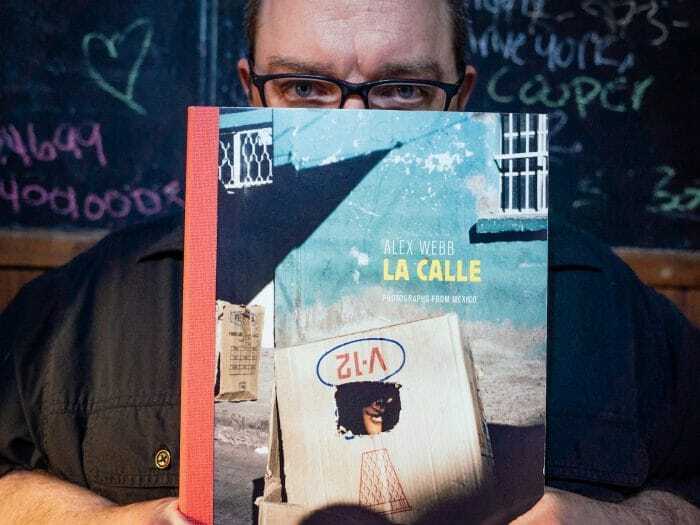 A photo book habit (which can be developed very quickly, trust me) can drain your account real quick. 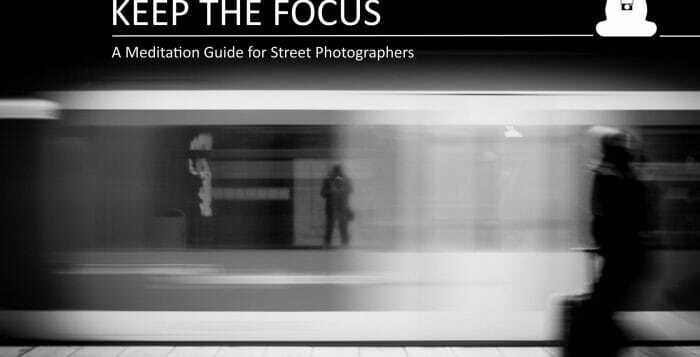 One thing that is often lost in discussion about street photography is the importance of the genre. When talking with and about contemporary photographers, I find that it is hardly discussed at all. The importance is more than a groundbreaking style. It is also more than say, the introduction of color to the genre. There is historical importance. Street photography, particularly candid street scenes, give us a sample of real life from that period in time. It is a historical document as much as straight documentary photography. 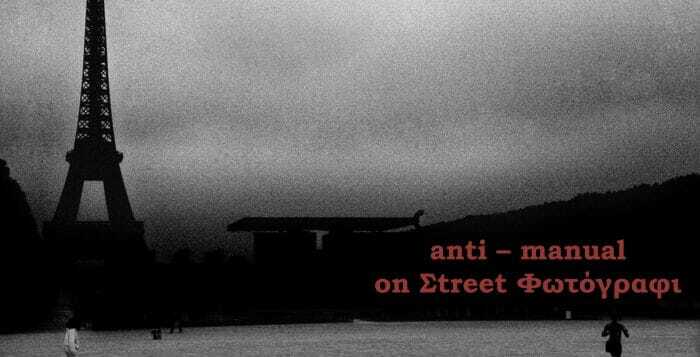 It can be argued that maybe candid street is just as “real”. It’s unfiltered. Un-posed. Discreet and unobtrusive. Of course, we don’t talk about the work of current photographers in this aspect because they’re creating future nostalgia. Its historical value is almost implied. An afterthought, if a thought at all.